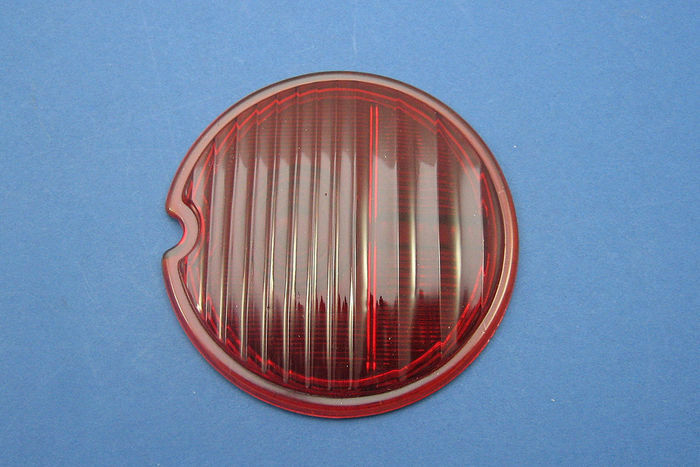 Replacement lenses for Lucas ST38 lamps. Available in either all red (glass) or red/amber (plastic). 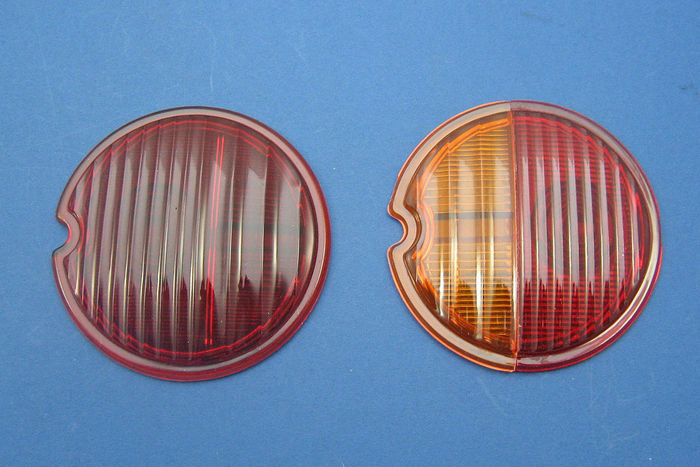 The red/amber versions can be used to convert existing ST38 stop/tail lamps into stop/tail/indicator lamps. (In order to convert a lamp, the bulb holder assembly has to be rotated by 180 degrees. 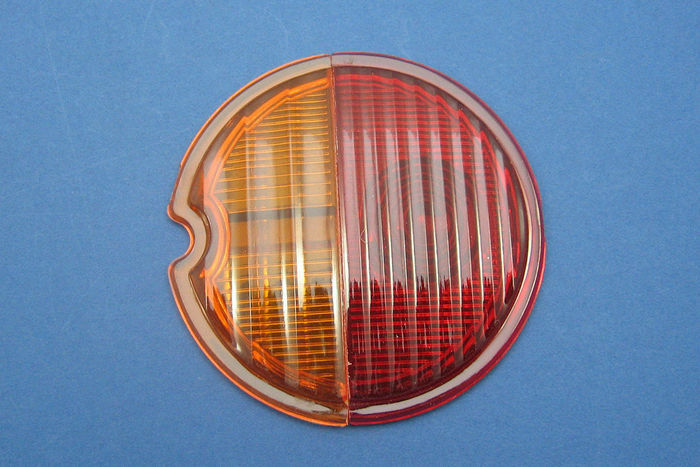 This then gives two bulbs behind the red part of the lens (stop/tail) and one bulb behind the amber part (indicator).